This is part one in a series about the making of Meadowcroft. Read part two and part three. 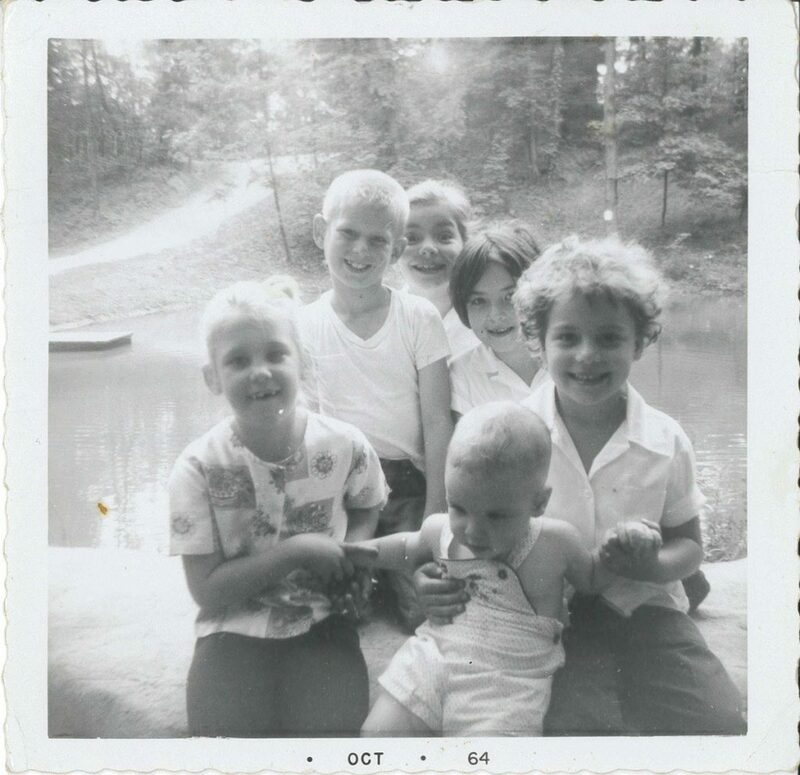 On July 28, 1959, the Camp Meadowcroft sign was hung up along the entrance road. On May 5, Meadowcroft Rockshelter and Historic Village will open for its 50th season. Creating a museum in rural Washington County that has lasted five decades took an enormous effort from Albert and Delvin Miller. 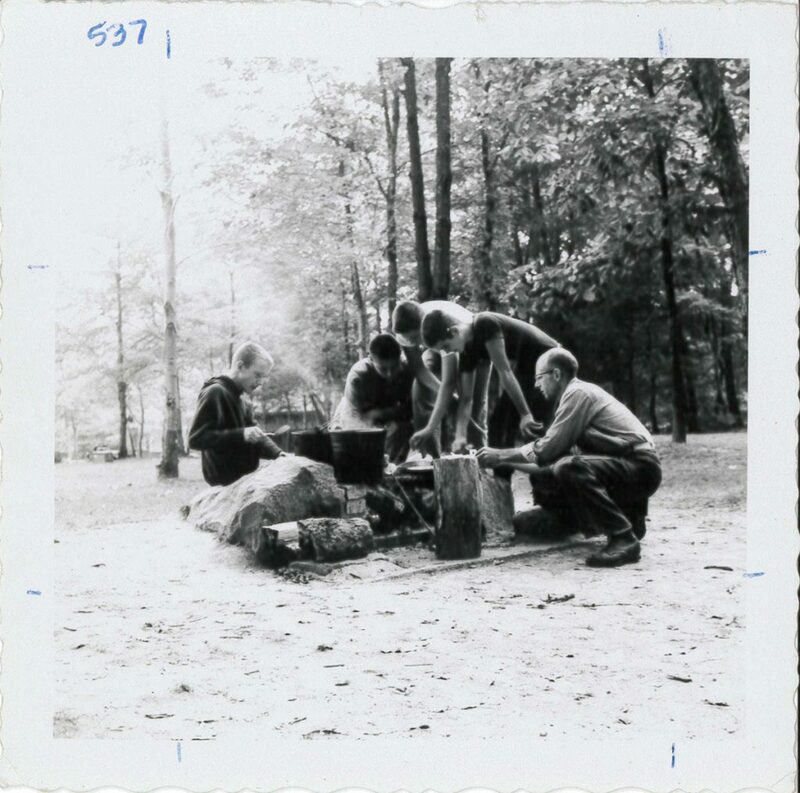 Much of the legwork for such a task began with Camp Meadowcroft, which welcomed scouts and groups for overnight visits. The camp, which would eventually become the museum we know today, began as a parcel of coal stripped land. One of the first things to be built at Camp Meadowcroft was the campfire circle. This area is currently just inside the palisade of the Monongahela Indian Village today. 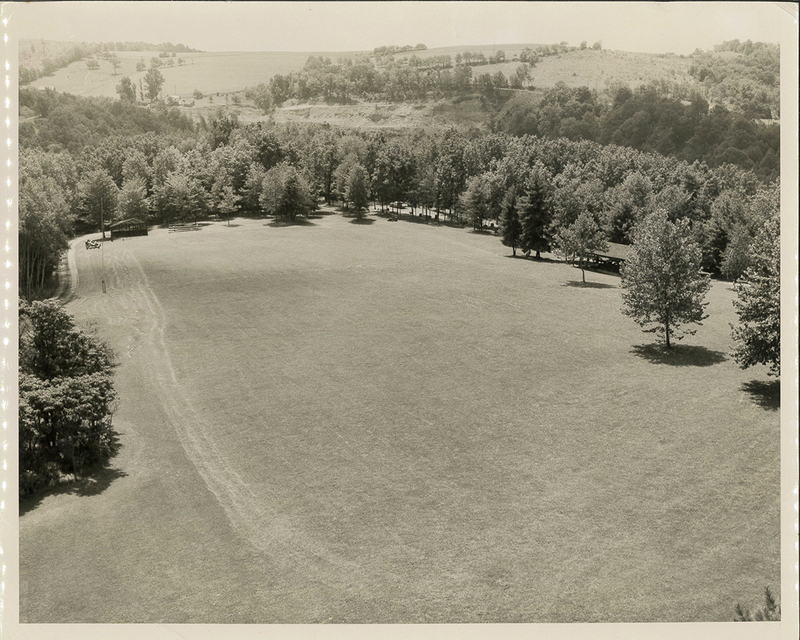 This photograph was taken from the top of the Green towards where the Visitor Center is today. The softball diamond can be seen on the left. 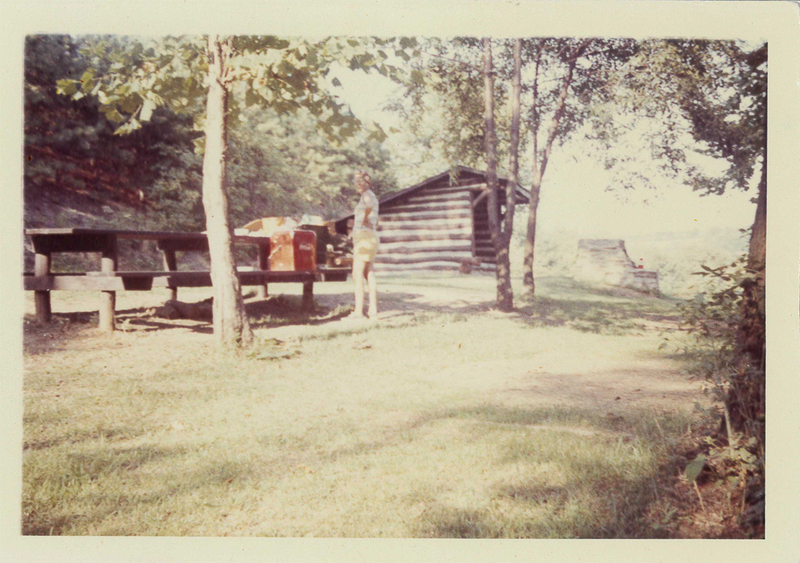 The parking lot and camping area at the bottom of the green and the pavilion, which stands today, on the right. Still, further work was needed to shape the landscape into his vision. The barren slopes were planted, the old mine structures were torn down, and materials were salvaged for use as the camp continued to develop. 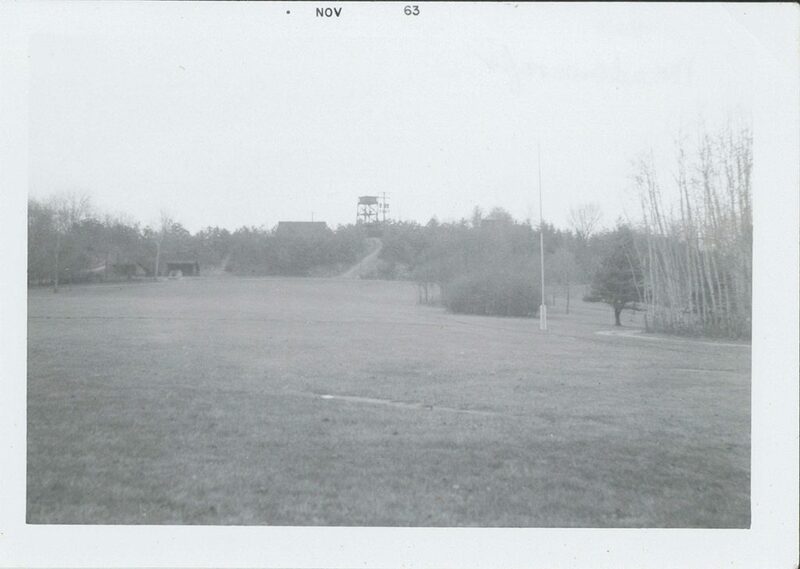 In 1958, a softball diamond was created on the green behind the current visitor center, and the pond was dug out. The pond was accomplished with the Soil Conservation Society surveying and laying out the area, and two bulldozers worked together to move the earth. In the first half of 1959, Adirondack shelters were built on the ground where the Miller Museum now stands and the pavilion, still used today, was built on the southern side of the green. 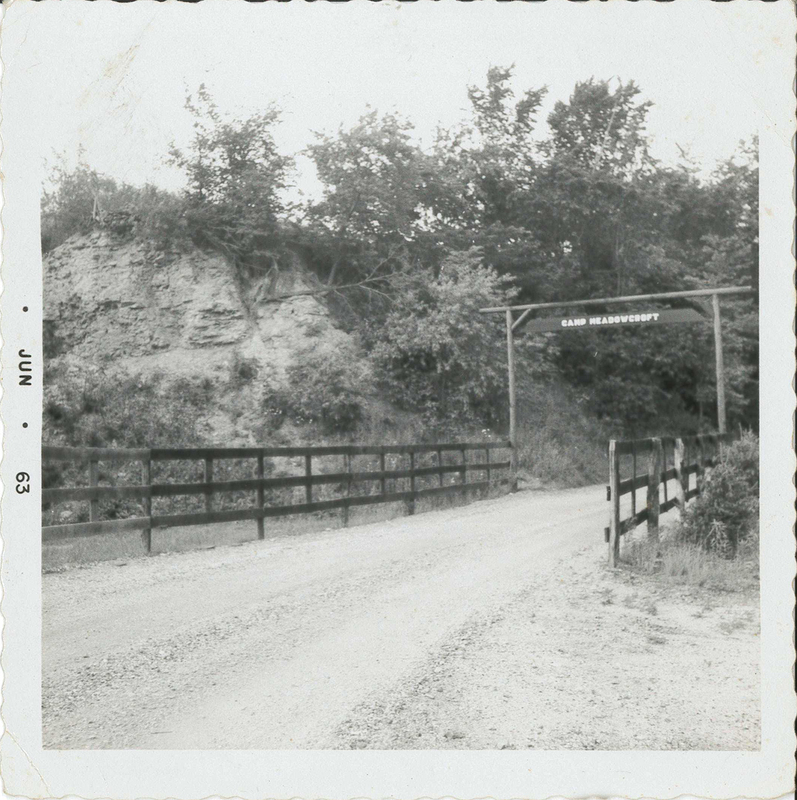 On July 28, 1959, the Camp Meadowcroft sign was finally hung up along the entrance road. The name of the camp, and later museum, was taken from combining Bancroft, the family farm, with Meadowlands, Delvin’s farm, to create Meadowcroft. 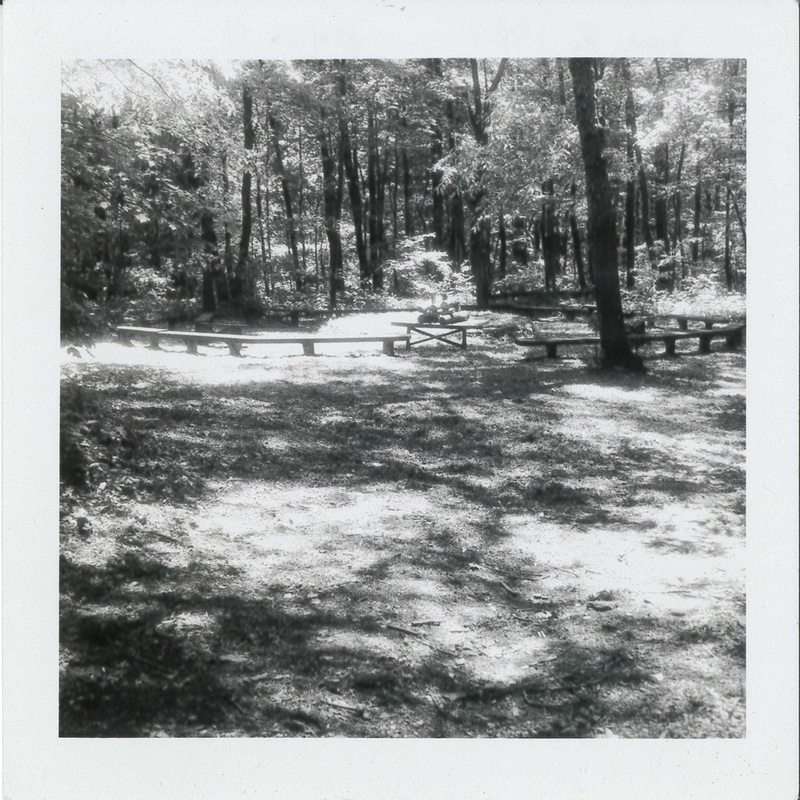 Throughout the late 1950s and into the 1960s, boy and girl scouts, church groups, and schools would camp overnight and tour the site with Albert, but more work would still have to happen before Meadowcroft turned from a camp into a museum. Meadowcroft opens to the public on May 5, 2018 for its 50th season. This photograph was taken from a similar vantage point of the back door of the Visitor Center today. If you were to pass between the flag pole and grove of aspen trees on the right, you'd be going to the frontier today. At the left of the frame, where the Adirondack shelters are, is where the Miller Museum is currently located. From the back of the photograph: “Taken the last day of school June – 64. Terri and Barry Andrews. Patience, Francie, Erin(?) and Danny at the Pond on Miller Property later Meadowcroft Village.” The blacksmith shop, still there today, would be finished that July on the hill directly across the pond. Boy Scout Troop 71 cooking at the camping spot on the Village Green. These Adirondack shelters were located where the top of the Miller Museum now sits today. They were used both for overnight stays as well as picnicking. An invaluable resource to this blog post and the institutional history of Meadowcroft has been a write-up of Albert Miller’s titled “A History of Meadowcroft Village 1956 – 1969” in 1976. This write-up consists of his old diaries and work journals, with added information and recollections to give a more complete picture to the start of the museum. Albert Miller, “A History of Meadowcroft 1956 – 1969,” July 25, 1976, Albert Miller Papers and Photographs, c. 1890s – 1997, MSS 1095, Series 1, Box 1, Folder 8, Meadowcroft Rockshelter and Historic Village Collection, Detre Library & Archives at the History Center. If you want to subscribe to all History Center blog posts, please click here. Check out the entire blog archive.